Time and time again, my clients come to me exhausted because they have been trying to do it all themselves. It can be particularly challenging as an entrepreneur some days. Many time friends and family simply do not understand the dedication and long hours that is given to your passion. This leaves us feeling alienated and alone, not sure where to turn and how to get support. This is particularly common for solopreneurs. This can lead to that all too familair feeling of running in circles, stuck on an idea, or simply not doing it because there is a part that we are uncertain on how to execute. What if you had more time so that you could focus on doing what you love, and less time figuring it all out!! That is what it would look like working with us at Virtually Empowered. 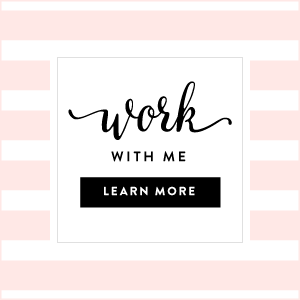 I want YOU to reap the benefits of having an outstanding support team behind you while working in conjunction with a certified coach to make your business - Your Dream Business. We want to support Your Unique Zone of Genius, with the gift of support, collaboration and time! At Virtually Empowered, we are a uniquely combined service of coaching and collaboration with a full virtual support staff waiting to implement your business blueprint. I have hand selected experts to cover all the aspects of your business from bookkeeping, sales, technical assistance, web design, graphics, social media and more! My goal is to offer what I wish someone offered me, especially when I was just starting out. This will give you some ideas to get started on what can be outsourced: Here is a breakdown of our most common services. What is holding you back from growing your business? Superwoman Syndrome- Doing it All yourself? Do You have a Fear of letting go so you can grow? Uncertain of Your Financial Forecast? Are You Lacking Structure & Organization? Are You Utilizing Promotional Strategies? Do you have systems, policies & procedures in place which add value and time management to your business as well as increase the value to potential buyer? Read what Clients have to say! We are ready & waiting! A dream team for your business! I personally guarantee that you will be supported in your business, giving you the time and energy to ignite the business you have only visioned in your dreams. Working with Virtually Empowered, you do not need to feel alone, overwhelmed or confused. We will support and guide you as we nourish a long last business relationship. We are not just a virtual team, we are your Partners for Success. I am looking forward to our time together, as I learn about you, your business and your dreams! I believe in supporting my clients as a whole. You are Human - the Heart behind the Business.